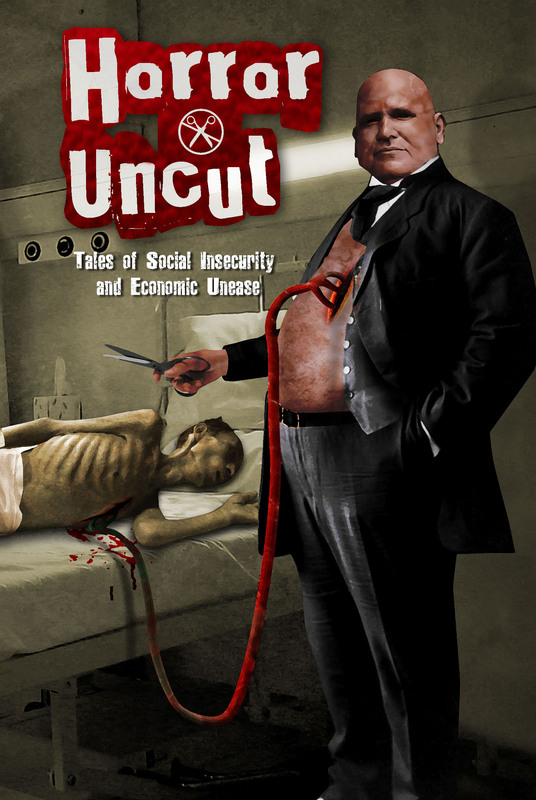 Tom Johnstone, has very kindly answered some of my questions about Horror Uncut: Tales of Social Insecurity and Economic Unease, which he co-edited for Gray Friar Press. It contains work by Alison Littlewood, John Llewellyn Probert, Rosanne Rabinowitz, Gary McMahon, Anna Taborska, Joel Lane, Simon Bestwick, Andrew Hook, among others. I am tremendously pleased to be included with a reprint of my story, ‘The Ballad of Boomtown’, which originally appeared in Black Static (Issue 28 ). I wrote it after reading an article about the impact of the recession on Ireland, which featured an abandoned estate. It is estimated that in 2011 there were 2,881 semi or unoccupied housing developments in Ireland. Tom, what inspired the anthology? It was a kind of spur of the moment thing: I introduced myself to Joel Lane at a convention, and mentioned stories he’d written like ‘A Cry for Help’ and ‘For Their Own Ends’, which had used horror to comment on the privatisation of the NHS. He’d also co-edited a politically-themed anthology of weird fiction for Gray Friar Press with Allyson Bird, called Never Again, dealing with racism and fascism. We discussed the idea that a similar anthology on the Coalition government’s austerity measures might be a natural follow-up. Not long afterwards, we approached GFP with a pitch, and they agreed to publish it. It helped that Gary Fry of Gray Friar was interested in the theme, having written a very disturbing novella for Spectral Press about the global financial crash and its aftermath, The Acceptable Face of Tyranny (2012). Although I’d read other horror stories dealing with social and political themes, the stark economy of Joel’s tales, together with their low-key, visionary weirdness, were a revelation to me about how a story of this kind can put across ideas about inequality and deprivation without being preachy. ‘A Cry for Help’ originally appeared in fourth volume of the Black Book of Horror anthology series from Mortbury Press. Perhaps the quintessential Black Book of Horror author, John Llewellyn Probert, was another writer whose work, in quite a different way, pointed out to me the possibility of using horror to explore social themes, with what seemed to me almost a trilogy of contes cruelles satirising different aspects of the twenty first century media culture. It’s something of a delight to me that in Horror Uncut, as well as reprinting Joel’s tale, ‘A Cry for Help’, I’ve been in a position to print an original story in a similar vein from John, turning that trilogy (if such it was) into a quadrilogy. What aspects of the recession does the anthology cover? ‘The Ballad of Boomtown’ and ‘Falling into Stone’ both deal with the effect of the crisis on the housing market and the effect this has had on people in the construction industry, in the Irish Republic and and the UK respectively. Other stories, like ‘The Sun Trap’ and ‘The Opaque District’, focus more on the instability of the financial markets, but in very different ways. Not all of the tales are specific to the recession though. Many of them tackle the austerity measures that have arisen apparently in response to the banking crisis, though I’d argue that neo-liberal politicians, particularly the Conservatives, saw the situation as an opportunity to further their political and economic objectives: now that the immediate threat of economic meltdown seems to have faded (for now! ), privatisation and cuts to services continue unabated, if anything intensifying as the Tory Right becomes more and more assertive. Other stories, like Anna Taborska’s and David Williamson’s, show the cruelty of austerity in a starker and more brutal fashion. Why horror rather than SF? SF may at first seem a more politically engaged genre than horror (if horror is indeed a genre, and not, as some would argue, a state of mind). It often has a vast canvas, where the fates of worlds hang in the balance, with writers plotting future history in meticulous detail. Horror on the other hand often begins at home. It’s a very intense and intimate type of fiction, dwelling like erotica in the realm of the senses, in the stark reality of the human body’s needs and vulnerability, whether or not the source of the horror is natural or supernatural. This is particular true of the genre trope ‘body horror’, a theme that appears in Rosanne Rabinowitz’s tale, as well as Joel Lane’s. Also, you can turn the argument round, and argue that a lot of SF is politically reactionary, projecting colonialist or neo-liberal assumptions and paradigms into outer space and/or the far future! Horror, on the other hand, is one of the most extreme and subversive forms of literature, dealing with the disturbance of the ‘natural’ order, either by supernatural events or unnatural acts. Dennis Etchison has argued that, while the classic crime narrative tends to conclude with the restoration of the social order, horror fiction tends to end with disorder, catastrophe, tragedy, things falling apart. Either that or it lacks a conclusion altogether: the ‘inconclusive ghost story’. The Eighties horror boom coincided with the ‘monetarist era’ of Reagan and Thatcher, and much of the dark fiction of the time reflects this. One of the most powerful examples of this is Ramsey Campbell’s stark and claustrophobic psychological horror novel The Face That Must Die (1979, revised in 1983). Recently, authors from the current generation of ‘small press’ horror fiction creators have turned to themes of social deprivation (Gary McMahon’s Concrete Grove trilogy of novels from Solaris Press) and economic uncertainty (Gary Fry’s novella The Acceptable Face of Tyranny from Spectral Press) with memorable results. Horror often thrives on hard or uncertain times, allowing people to see their real fears play out in the form of fantastic imagery. So perhaps the age of austerity might have the positive side effect for the genre of ushering in a golden age of horror. Who knows? The other reason for horror rather than SF is I’m more into it! I write it, read more of it, and have more idea of what I think makes good horror than I do makes good SF. How did you find your first experience of editing? As a first experience of editing, this was an unusual and traumatic one, due to the sudden death of the co-editor. Apart from my grief and shock at his passing, despite not having known him for long or particularly well, I was then faced with the task of bringing the project to fruition without the weight of his considerable experience, Joel having edited several anthologies before, including Birmingham Noir and Beneath the Ground (an anthology of subterranean horror). Actually, it wasn’t as hard as I’ve made it sound though! Joel had many good friends among some of the finest talents in the genre in this country, and he had already approached them for contributions. Once I’d contacted them to assure them that the anthology was still on, many were only too happy to submit their stories (or in some cases write them with amazing speed if they hadn’t already). I’ve had a huge amount of help and support from the ‘horror community’, partly because of people’s deep affection for Joel, partly because the theme strikes a chord with a lot of people appalled by some of the things going on in this country. So I’ve had the honour of knowing that some very fine writers were cheering me on. Particular thanks must go to Gary Fry of Gray Friar Press for sticking with this despite my inexperience, and Joel’s mother Ella Lane for her help and support at an immensely distressing time for her. Joel Lane (1963-2013), “the finest short story writer of his generation”, according to Allen Ashley and Simon Marshall-Jones, was an acclaimed author and poet, respected editor and committed socialist. He was the author of two novels, From Blue to Black and The Blue Mask, a novella The Witnesses Are Gone, and the collections The Earth Wire and Other Stories (winner of a British Fantasy Award), The Lost District and Other Stories, The Terrible Changes, Do Not Pass Go, and Where Furnaces Burn (winner of the 2013 World Fantasy Award for best collection). He also edited Beneath the Ground, an anthology of subterranean horror, Birmingham Noir, a crime fiction anthology (co-edited with Steve Bishop), and Never Again, a book of weird tales against racism and fascism from Gray Friar Press. He died on November 25th 2013, from heart failure brought on by sleep apnoea, with diabetes as a contributory factor. Tom Johnstone’s fiction has appeared in various publications, including Dark Tales, Supernatural Tales, the Black Book of Horror (volumes 9 and 10) and Brighton – The Graphic Novel. Horror Uncut is his first book as an editor. Horror Uncut: Tales of Social Insecurity and Economic Unease from Gray Friar Press is now out, co-edited by Tom Johnstone and Joel Lane. Tom Johnstone is an author and first-time editor. 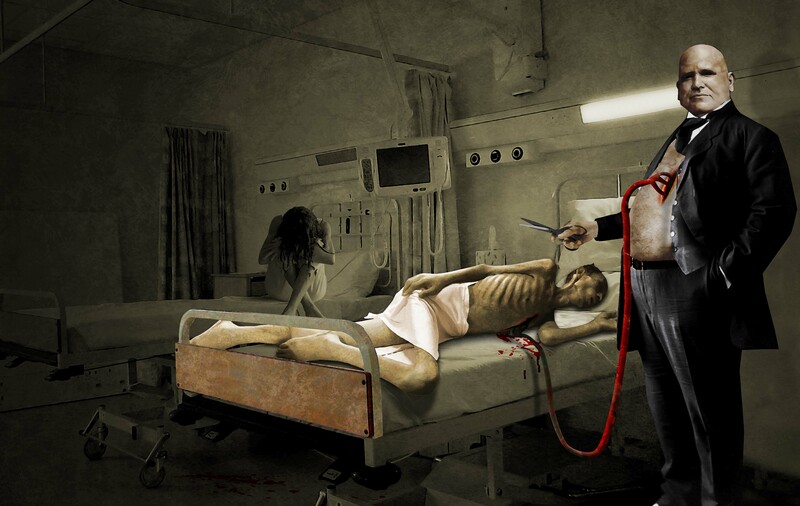 After reading stories about the dismantling of the NHS by the late Joel Lane in the magazine Black Static and The Fourth Black Book of Horror, he suggested they collaborate on an austerity-themed anthology. Tom’s post on the anthology is here. Joel Lane passed away, aged 50, in Novemeber 2013. He was a British Fantasy Award winner and very highly thought of among the writing community. Horror Uncut includes Joel’s ‘A Cry for Help’, which offers a darkly satirical representation of someone complicit in the privatization of the NHS. 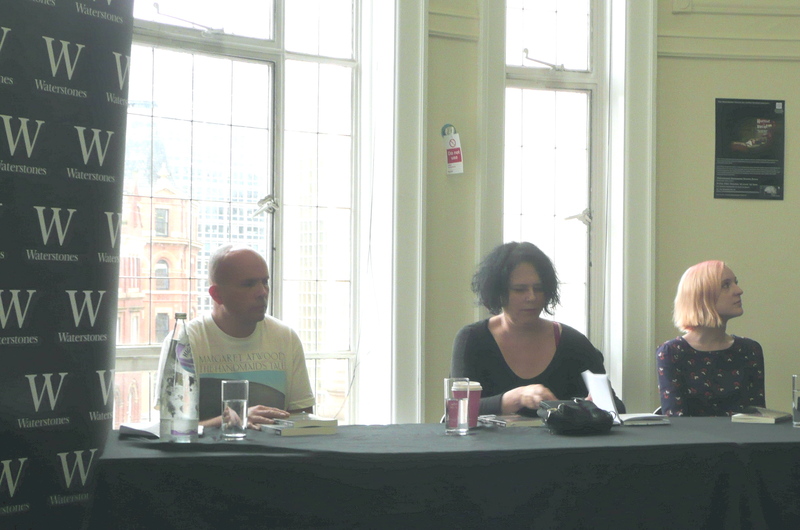 As part of Manchester Metropolitan University’s Gothic Festival , Twisted Tales is hosting an evening exploring how the Gothic can critique the current mainstream political consensus surrounding poverty and the welfare state. There will be readings by authors from Horror Uncut followed by a panel discussion and Q&A. Twisted Tales of Austerity is on Friday 24th October 2014at Waterstones Bookshop on Deansgate, Manchester City Centre, from 12 noon-2pm. Tickets are £3.